Over the past 30 years printing has been transformed from metal to film to digital, from secretive craft skills to openly available knowledge. The transformation has two aspects: the loss of a technology and of the culture surrounding the material production of text and image, and the development of less exclusive but potentially more refined processes of production. In such conditions, reference to history – including very recent history – is of vital importance in improving standards and providing an understanding of where we are now. One of the best sources in the world for such information is the St Bride Printing Library off Fleet Street in London. At the moment the library depends on a delicate balance of circumstances which cannot last. The building is in bad repair; the demands of and on the collection are beginning to outgrow present capacities. A bold solution is needed if the library is set to continue to serve the needs of designers and scholars. The St Bride Foundation was established in 1891 as a school of printing and a social centre in a district of London that was then at the heart of the printing trade. In 1922 the school moved premises to become the London School (later College) of Printing,* leaving just the recreation facilities and a library formed initially through the purchase of books owned by the printer and scholar William Blades. 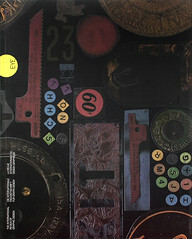 During the 1960s, major changes in text-composing and printing techniques led to a growing awareness of the need to document the history of printing. 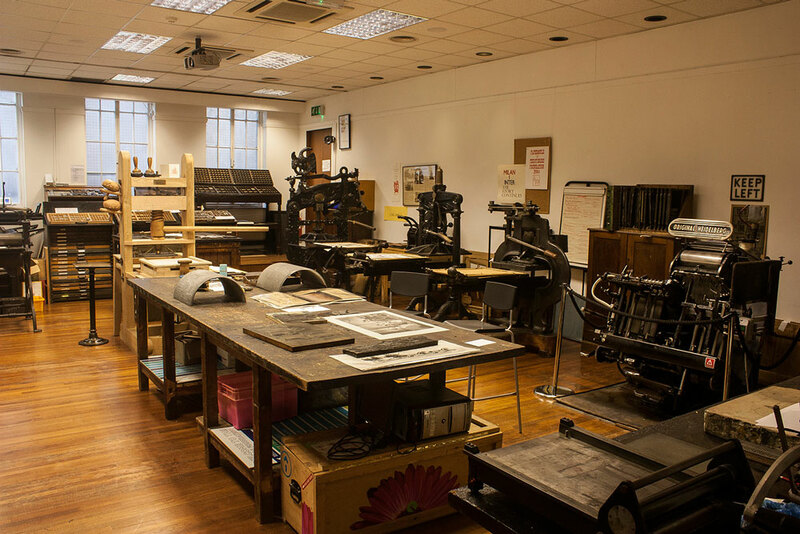 In 1964 the Printing Historical Society, based at the St Bride Institute, was formed. Two years later responsibility for the library was placed with the City of London, which made available greater resources to enable it to consolidate its collection. The principal figure behind this work has been the present librarian, James Mosley, who took over this position in 1958. The literature of printing tends to be fugitive in character: trade catalogues and type-specimen books, periodicals, promotional leaflets, technical manuals. Trade literature is often undated and can be acquired only from manufacturing companies or from people who have collected it or accumulated it in the course of their work. The St Bride library has what must be broadest and richest collection anywhere of the literature of printing technology – a speciality that distinguishes it from the main printing libraries in Germany (at Mainz, Offenbach and Leipzig) and in the US (the Newberry Library in Chicago or the American Type Founders’ Library at Columbia University). Equally impressive are its holdings in the more general field of design for printing, in particular type specimens. St Bride’s also collects manuscript or non-printed materials, of which the most important must be the drawings for inscriptions and type by Eric Gill, donated by the Monotype Corporation in 1976. Another major area has been printing tools: a wooden press (ca. 1800), an iron Stanhope press, some later jobbing and proofing presses in working order, and type, including notable historical collections such as the ‘Fell types’ from Oxford University Press. These pieces are among the ‘highlights’ of the collection, but Mosley also stresses the less glamorous aspects: the range, depth and completeness of the library’s holdings. With the departure of the newspapers from Fleet Street and the dissolution of the local printing trade, the St Bride Foundation’s original constituency has been lost. Although accommodation for the library has been indicated only vaguely in the redevelopment plans for the institute revealed by the foundation over the last year, it seems likely that the space allocated will be inadequate and inappropriate. Certainly there is no provision for the expansion that would be a natural response to the growth of the collections. The recent marked increase in readers, in part the result of a desire within graphic design education for a stronger historical and theoretical component, should also be considered. It may be that the present manoeuvres concerning the institute will produce an acceptable solution, from the City of London or elsewhere. Meanwhile, the fight for the library’s continuing existence is an issue with the largest repercussions and should be of concern to the international design community. For in securing this centre of research and knowledge of the past, we also contribute to the good health of printing in the future. * Now the London College of Communication. Top: Some of the printing presses stored in St Bride, many of which are still in working order.